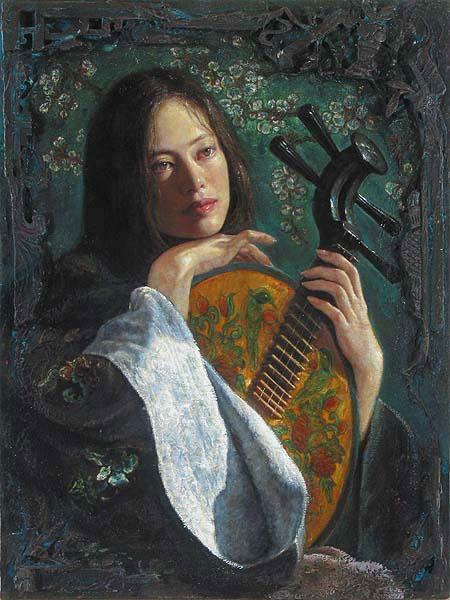 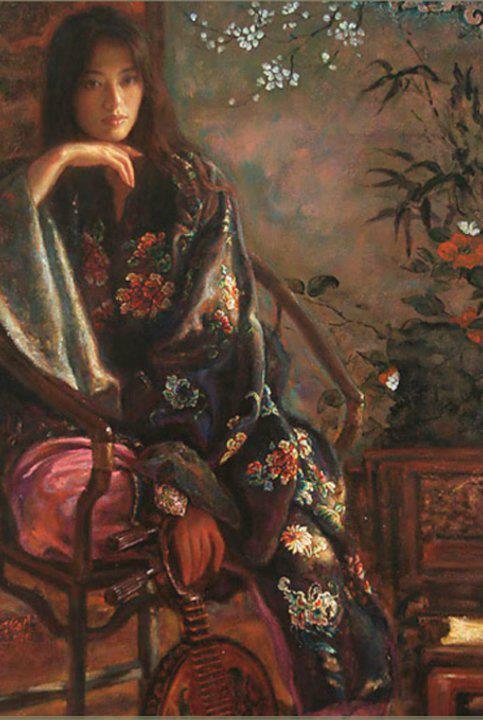 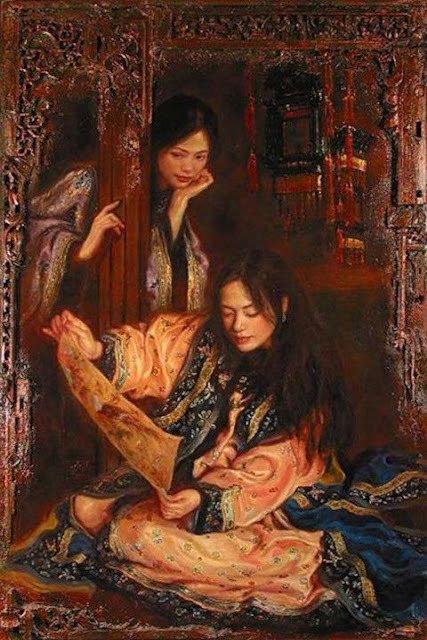 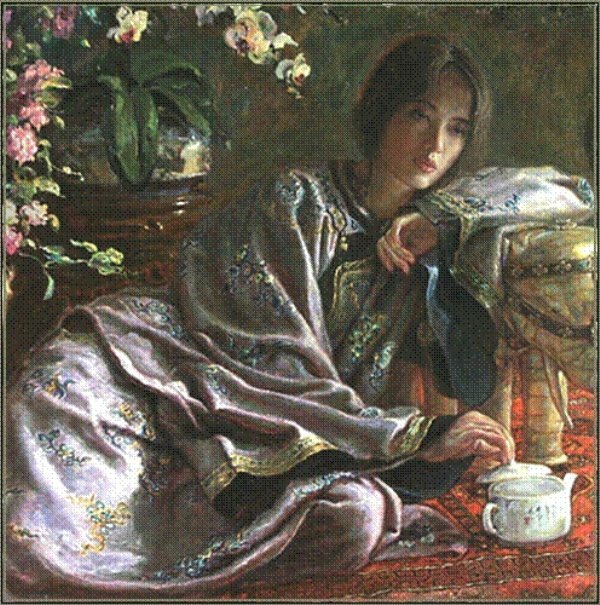 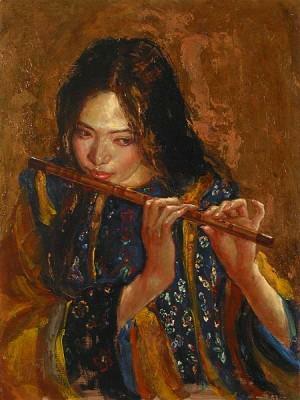 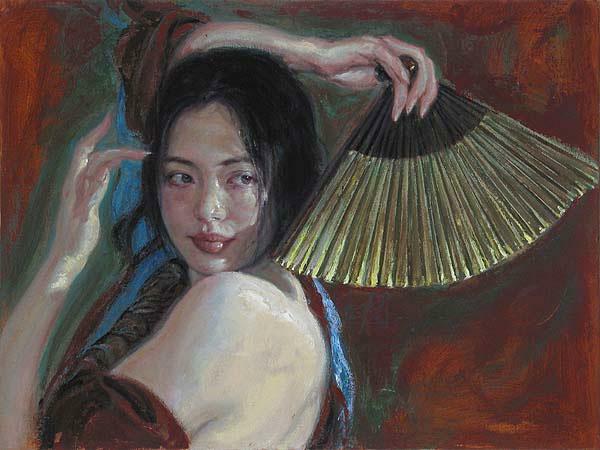 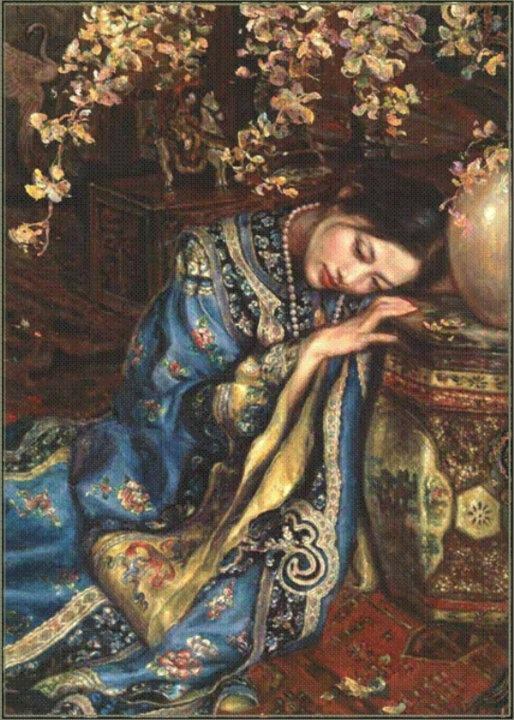 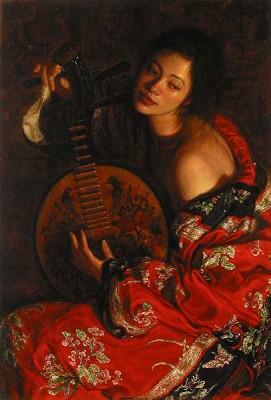 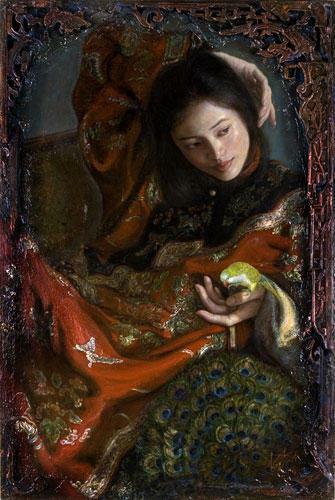 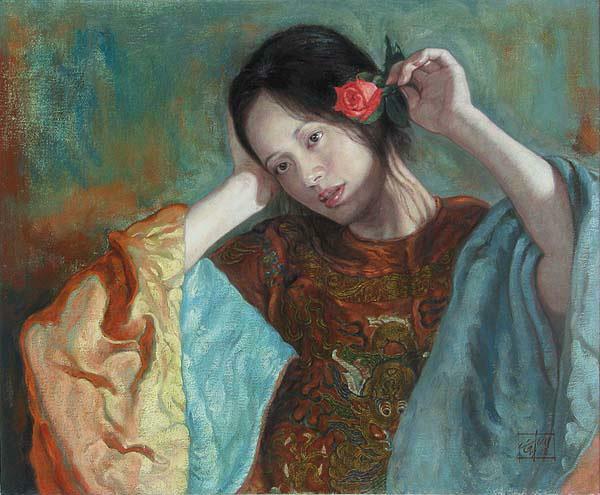 George Tsui is a Chinese-born American painter. 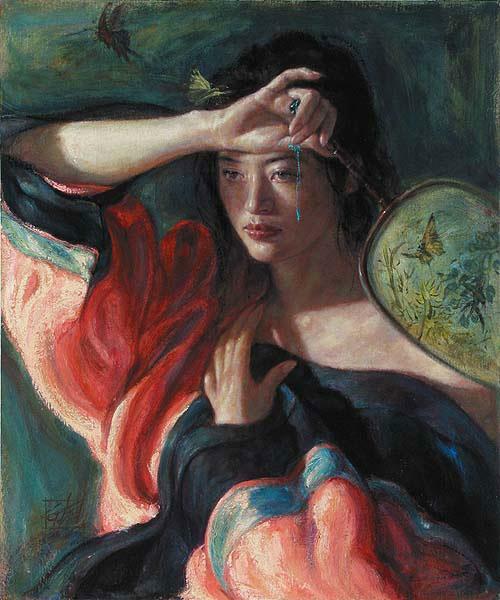 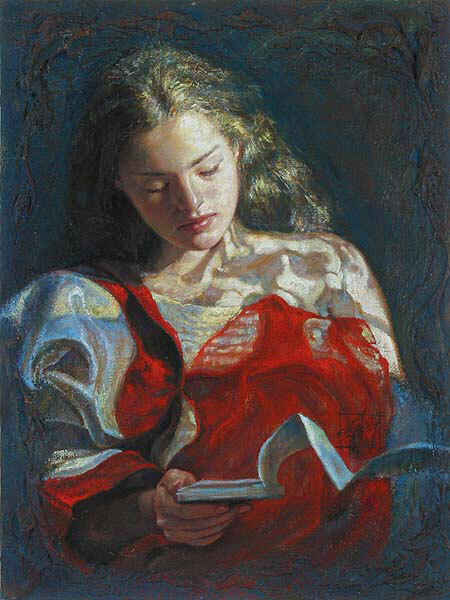 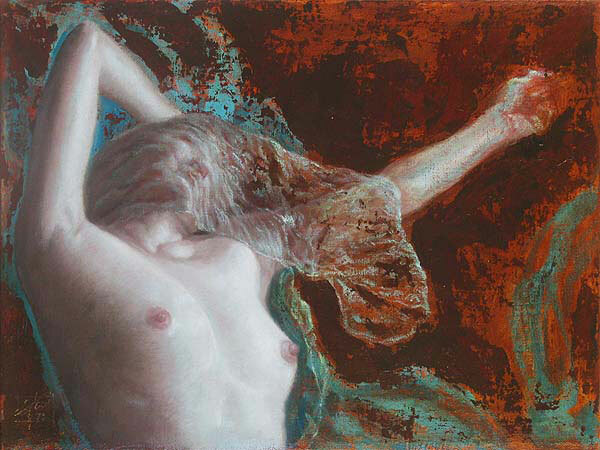 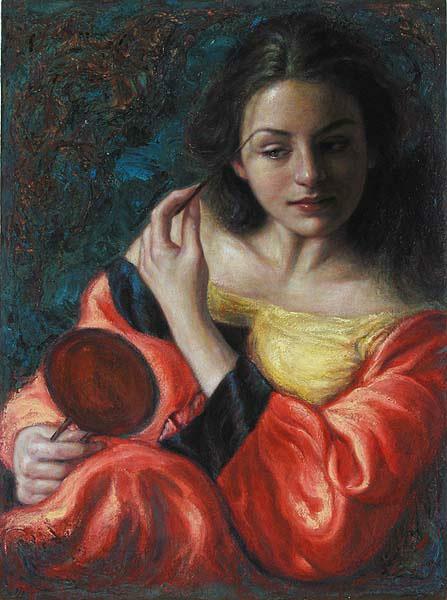 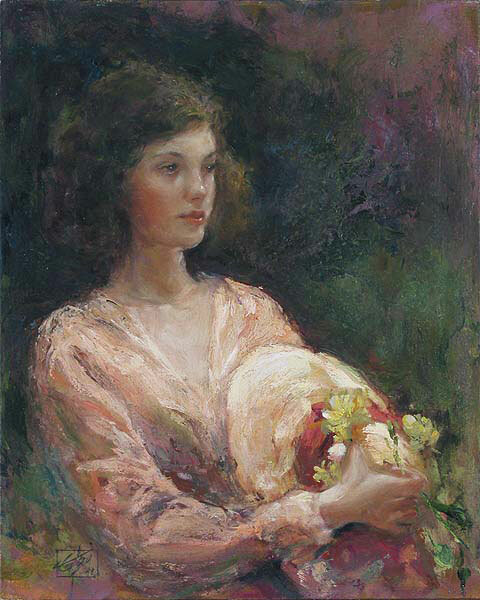 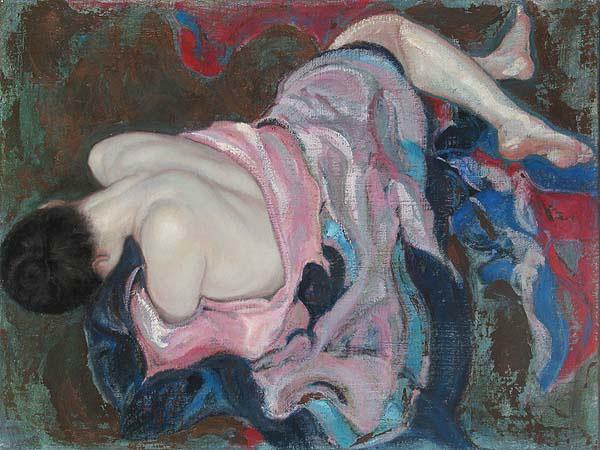 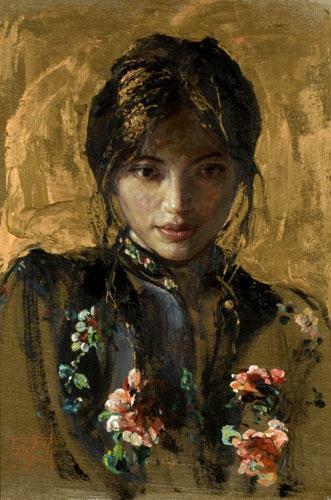 He was born in Hong Kong and later moved to New York in the late 60s, studying first at the School of Visual Arts and later majoring in oil painting at the Art Students League while working at NBC. 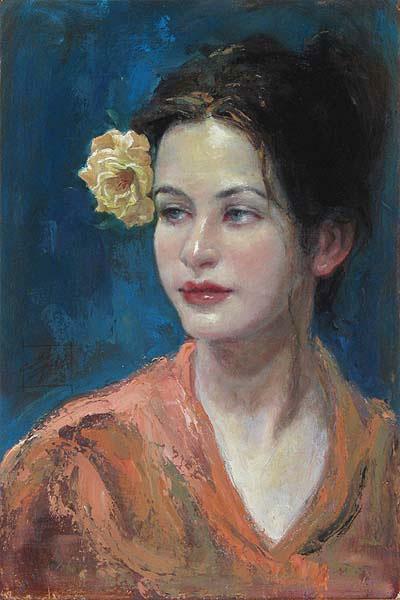 He has been awarded the prestigious 1997 Emmy Award for Best Individual Art and Craft. 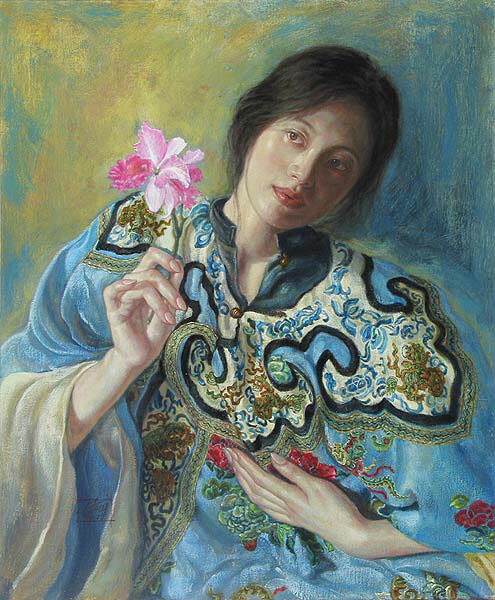 After twenty years in the New York art scene, George Tsui started a creative journey into his birth place China in the pursuit of reaching the next level in his artistic career. 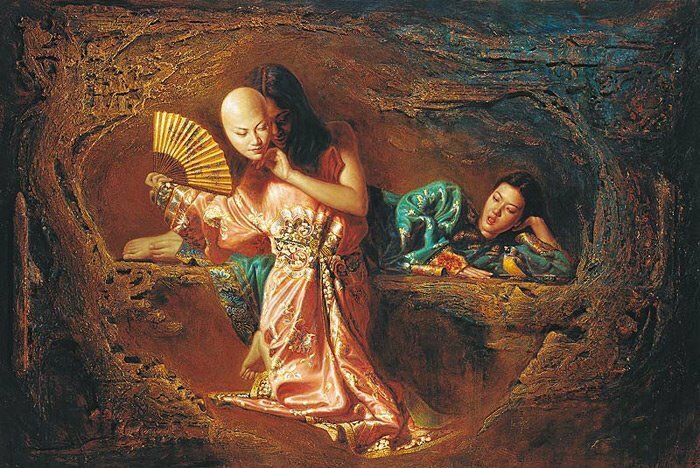 He is always fascinated and attracted to the rare, mysteries and exotic, elements of fantasy. His imagination is filled with Chinese themes. 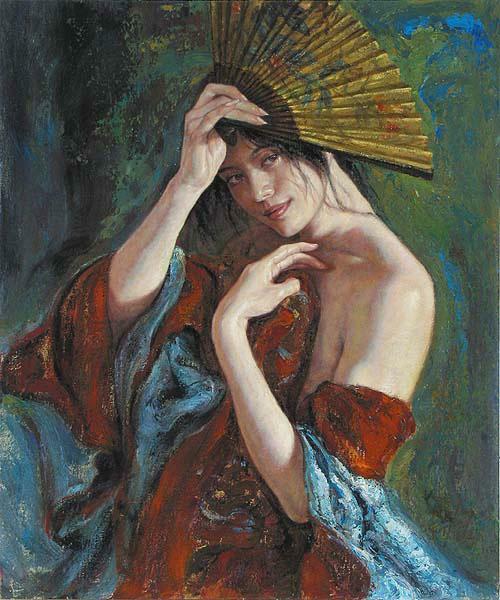 The idea of creating his own brand of classic romanticism, unrestrained by conventional reality, was deeply attractive to him. 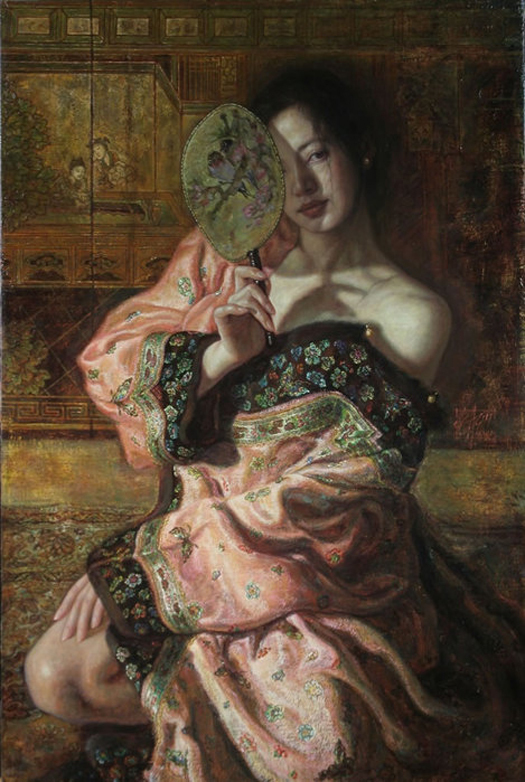 His art models always dressed in chic and ravishing beautiful silk and satin gowns from the artist’s own collection of 20 authentic imperial dresses and posed in romantic, luxurious surroundings with a variety of antiques, artifacts, jewelry, and exotic landscapes and birds… George doesn’t pretend paint the reality but he tries to draws us into a fantasy where the signs of subterfuge are plain to see, as the artist describes: these pieces “employ a dual technique of painting and sculpture that is traditionally ornate yet abstract in the most modern sense".